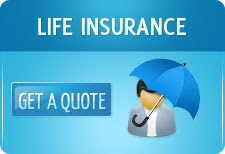 Online Insurance Quotes in India: Sahara India Life Insurance introduces new child educational plan. Sahara India Life Insurance introduces new child educational plan. Sahara India Life Insurance, the first wholly Indian-owned life insurance company in the private sector, has introduced a new child educational plan. The plan is called “The Sahara Vatsalya Jeevan Bima” and has the following features. - The plan is available for parents aged between 20 to 50 years and for their children aged between 0 – 12 years. - The educational benefits come when the child is 19 years old. The parents or the policyholders would receive four annual installments – 20%, 25%, 25% and 30% respectively. - By the time the child is 22 years old, the policy matures and all vested bonuses are paid along with the last installment which is 30% of the educational benefit assured. - In case of an unfortunate demise of the parent, the sum assured and the vested bonuses would be paid immediately to the nominee. - The premiums paid are eligible for Income Tax Benefits. The plan also includes accidental benefit and permanent disability benefit rider.